We are really excited about the project "The Conspirators" and with the excellent repercussions of it. 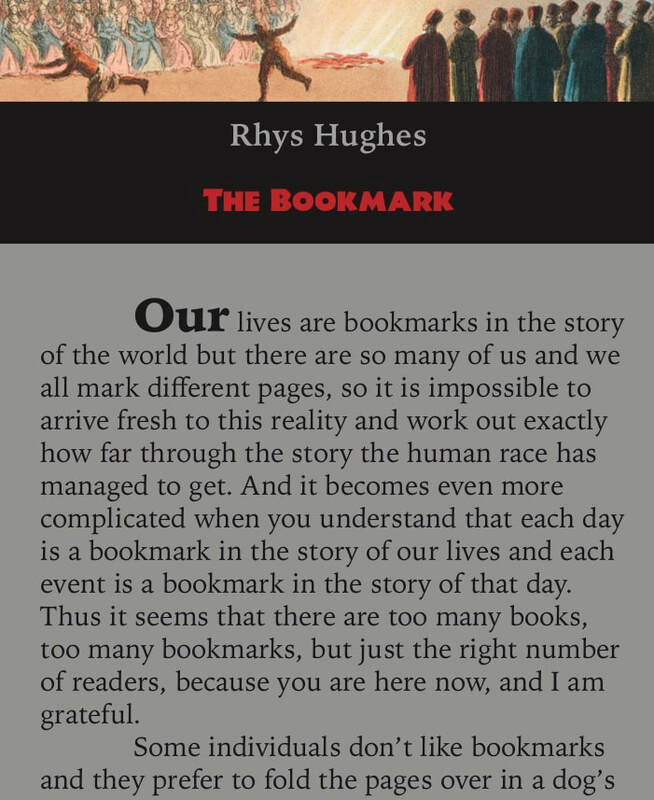 Thus, we announce a novelty: each book will come with an invention of Rhys Hughes (which appeared in "Mombasa Madrigal", published by us a few weeks ago), the "narrative bookmark”. As the name implies, it is a bookmark that becomes itself the means of expressing a specific, brief history. Below, you can find a brief glimpse of that creation. "That joyous recognition, which seems to obey the tradition of classical tragedy, should be the crown of this story, leaving happiness assured (or at least more than possible) for the three persons of the tale—the true mother, the apocryphal and obliging son, and the conspirator repaid for the providential apotheosis of his industry. But Fate (for such is the name that we give the infinite and unceasing operation of thousands of intertwined causes) would not have it." Raphus Press proudly presents The Conspirators (A Borgean Tribute to Jorge Luis Borges), a collection of short stories in honor of Borges. Here we have complex reconstructions and ferocious reconfigurations of the usual mazes, daggers, and conspirators of that Argentine author. Jorge Luis Borges (1899-1986) was an author who not only represented the best of Argentine (and Latin American) fiction in the twentieth century, but followed the fate of some of his inspirers and became​, perhaps against his will, a national hero of his country, occupying a mythical zone. Curiously, this mythical status extrapolated the borders of Argentina and the name "Borges" became universally associated with fantastic literature, labyrinths, mirrors, erudition, books. But Becoming a myth has its drawbacks: the loss of depth when it comes to details. Borges, a man of conservative thinking (in political terms), appreciated the revolutionary Louis-Auguste Blanqui, the grandfather of Leninism. Indeed, in his fictions and poetry, there are innumerable heretics, counterfeiters, villainous, conspirators, indicating a very complex notion of reality outside the conventional axes of conservative morality. Reactivate such paradoxes - this is the quest of our collection! For this purpose, we have an extraordinary myriad of authors whose unbridled imagination can conjure up infinite new labyrinths, to the liking of Borges: Mark Valentine and John Howard, Thomas Philips, Jonathan Wood, Rhys Hughes, Justin Isis, Stephan Friedman and some few surprises. Some of them in their first collaboration with the Raphus Press, also embarking on the search for a kind of imaginary author, who is perhaps the savage, Argentine God, who imagined the hallucinatory reality that surrounds us as a perpetual maze. As a gift, an A4 poster (due to the sending expenses, larger formats printing would be discuss via email) designed by Fábio Laoviahn, inspired by "El Aleph", the famous short story by Jorge Luis Borges. 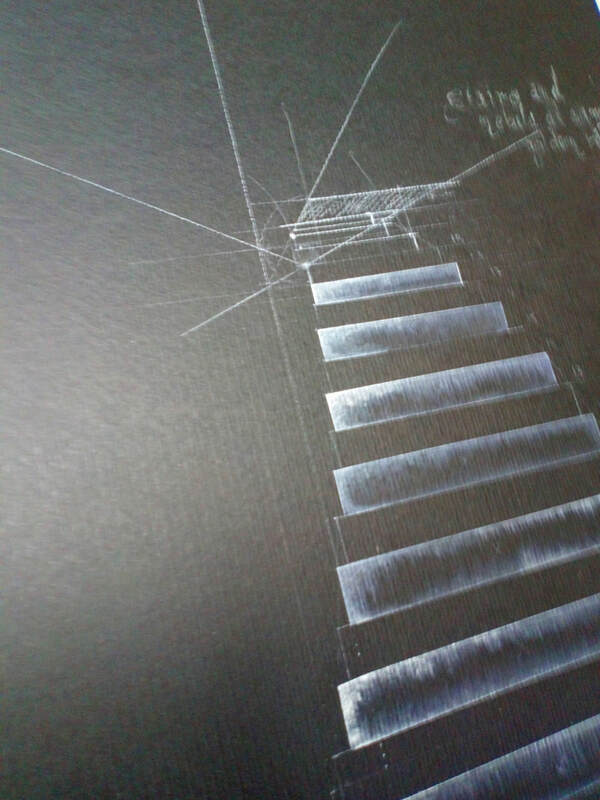 A view of the first draft follows below. ​The Conspirators (A Borgean Tribute to Jorge Luis Borges), the book (4.7 x 8.8 in. ), 130 pages, designed by Raphus Press Immanent Headquarters, printed in the Forma Certa, with a faux dust jacket (or mini-poster). A collection with stories inspired by Jorge Luis Borges and his visions. Collaborations by Mark Valentine and John Howard, Thomas Philips, Jonathan Wood, Rhys Hughes, Justin Isis, Stephan Friedman and another few authors whose participation has not yet been confirmed. An A4 poster will be dispensed with every copy. As usual, this edition will be very scarce: only 50 numbered copies, plus some (very few) private copies. The price includes: the book for US$ 22.50 + the poster + mail expenses for every corner in the world (including package and sending), US$ 12.50. To purchase a copy, click on the link below or visit our Catalogue. Draft of the poster by Fabio Laoviahn.